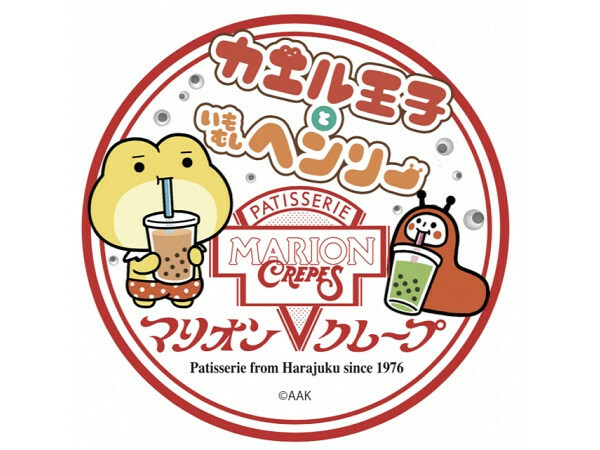 Short animation series "Frog Prince and green caterpillar Henry" on air at TOKYO MX now collaborated with a crepe shop "Marion crepe"! 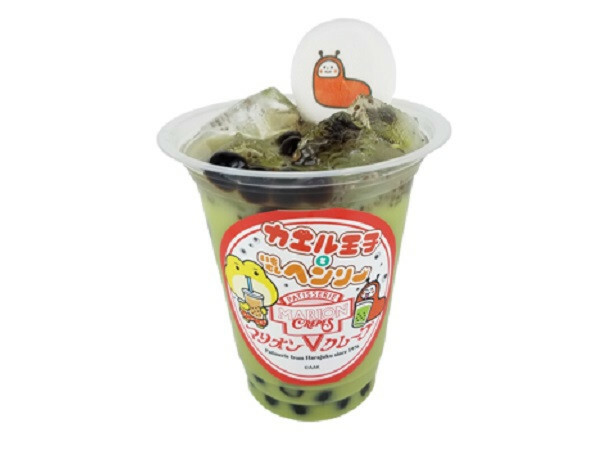 they will release a special collaboration drink, the Tapioca drink "The Frog princes egg drink with caterpillar Henry" will appear for a limited time from April 12 (Fri) to 26 (Fri). "Frog Prince and green caterpillar Henry" is the short animation film by world's first virtual people based on a character cartoonist "Ari Muramoha" who is popular around the world, especially in Asia. 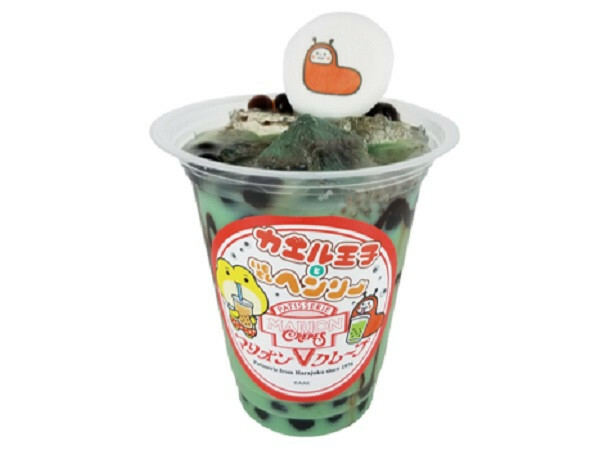 "The Frog prince egg drink with caterpillar Henry" 550yen each (tax included) offers three flavors such as Brown pond flavor, Green pond flavor, Blue pond flavor. It looks absolutely wired like tapioca looks like "tadpoles", and Chia Seed looks like "frog eggs". Furthermore, caterpillar Henry was mentioned on the product name, so some people misunderstand as food contamination? Sold at 7 branches including Marion Crepe's Harajuku Takeshita-dori, Yodobashi Akiba, Ikebukuro Sunshine-dori, Tokyo Solamachi, Kashiwa-Marui, Laketown Outlet and Kumagaya Nittomo mall. Also, on April 14, virtual live streaming will be also planned, where you can actually talk with the frog prince at the Yodobashi Akiba store. 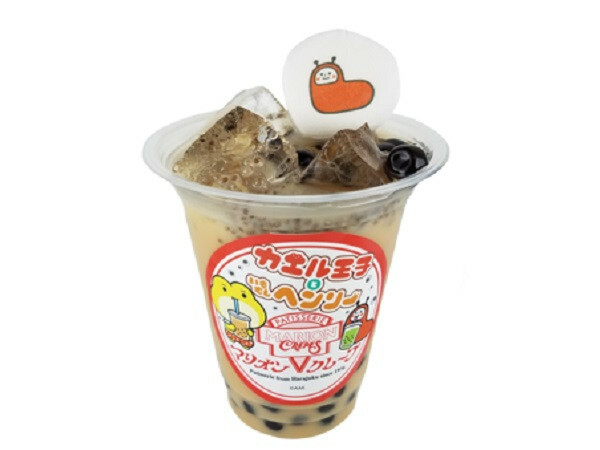 Check the taste of the slightly spooky tapioca drink with your own tongue!